On Saturday, my friend Erin helped me hang my artwork in Cravings Cafe in Kingston, MA, and I have to admit that the pizza was delicious! We really want to go back for more pizza sometime soon. So now my artwork is hanging there, and the theme is LOVE. 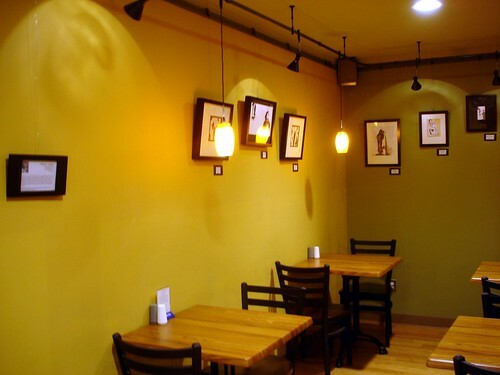 If you're lacking the perfect thing to do this Valentine's Day, want to express your LOVE to your significant other, and want a relaxed atmosphere where you can see my artwork, go to Craving's Cafe in Kingston, MA. Not only is the theme of the artwork LOVE, but they are also celebrating their one-year anniversary today! So if you're in the area, you should celebrate the love you have food, a fun environment, and check out some of my newest artwork. 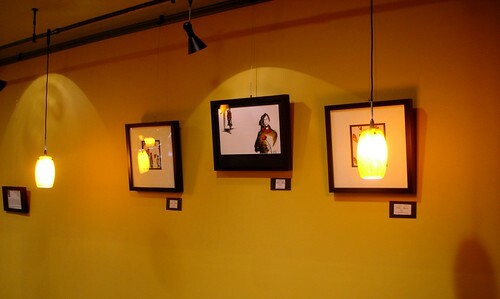 On another note: All of the artwork displayed is available for purchase online or in Cravings Cafe. Feel free to contact me if you have any questions or would like to show my artwork in your space.